The direction of the market was determined. Yet, the state is unstable. Gold: Gold prices are falling as I expected. 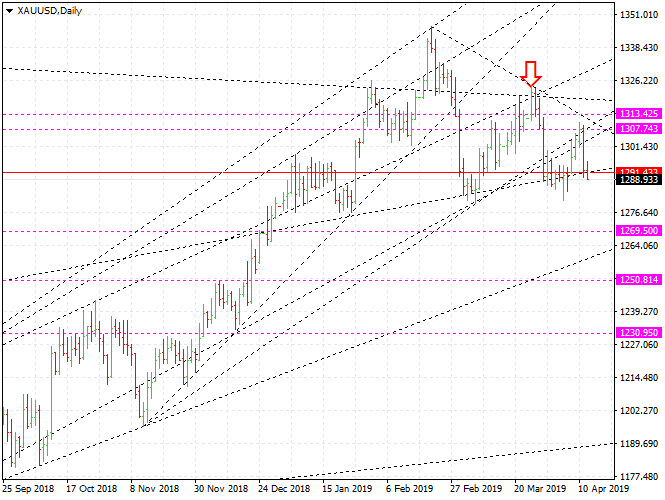 XAUUSD will drop to at least $ 1269.5. If the market is weak, it will fall to $ 1250. I expected $ 1307 to be a resistance line, and my expectations were correct. Silver is relatively weak compared to gold. The $ 14.95 is supportive, but weak. I believe silver prices will continue to fall. XAGUSD will drop to $ 14.68. In the medium term, silver prices are likely to drop to $ 13.92. I will hold the sell-position. I feel that there will be good returns. WTI: The oil market will remain hot. The fire in the Middle East will be more intense. Brent oil will rise to at least $ 75.3 and WTI to at least $ 68. If things get worse, Brent oil could go over $ 100. Sugar: We need to be interested in sugar. Someone seems to be managing sugar futures prices. There is clearly a master. It is likely to rise to $ 0.15. If sugar prices fall, it would be better to look for opportunities to buy. Euro: The euro is in a state of no change. That's what traders hate the most. Perhaps, EURUSD is likely to plunge at some point. It would be better to wait for the opportunity to sell.